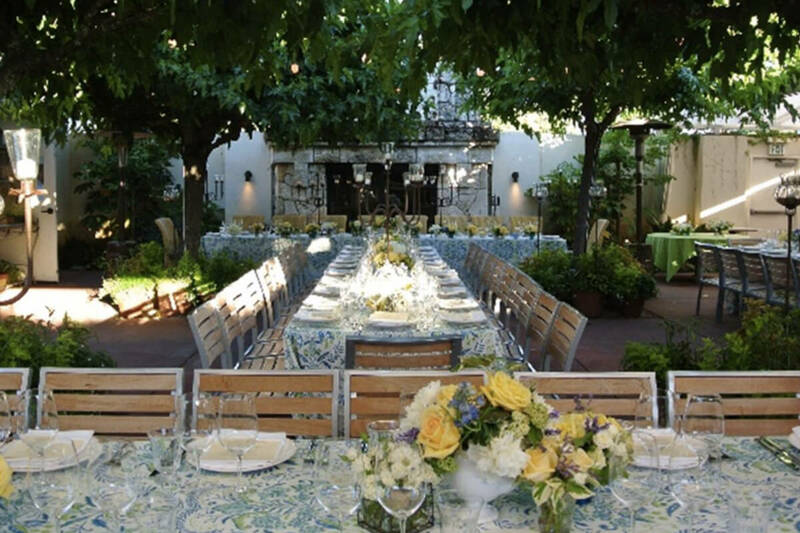 Each of our four main private event spaces – the Garden Grove, the Courtyard, The Harvest Room and The Vineyard – presents a series of private and semi-private options for intimate gatherings or grand affairs. 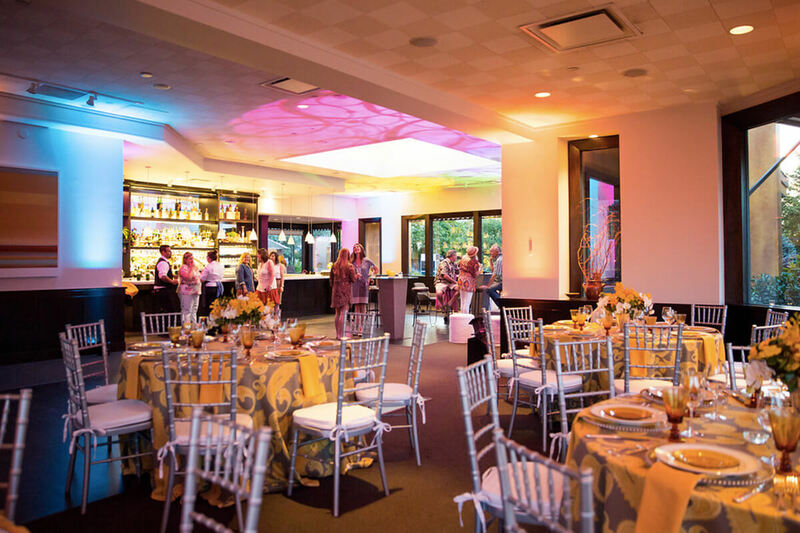 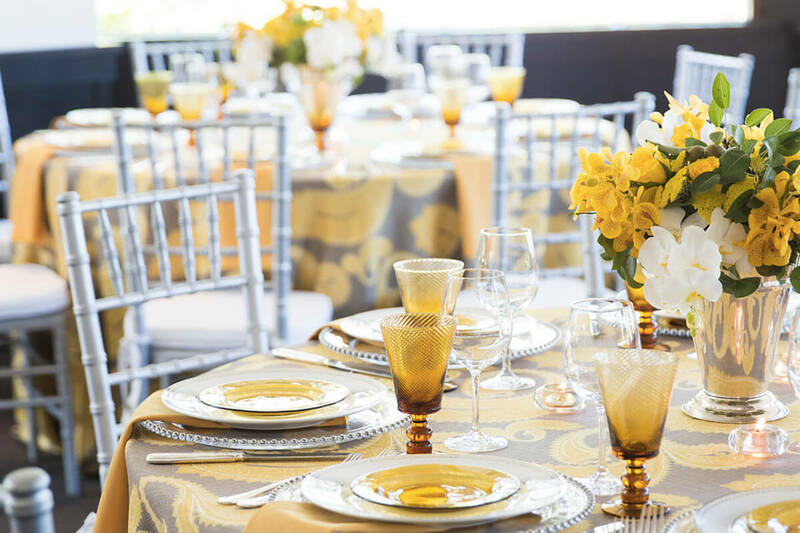 Our staff provides full on-site event planning with years of event planning experience. 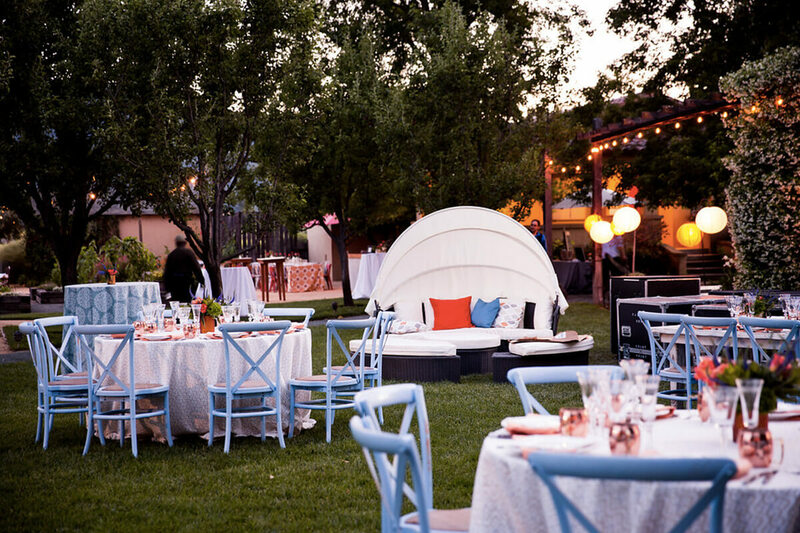 Call (707) 963-7600 or email us at events@treposti.com for more info. 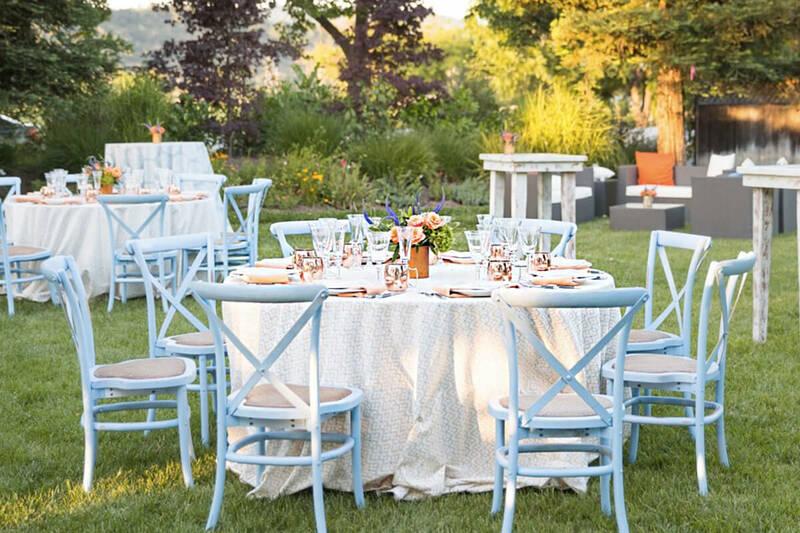 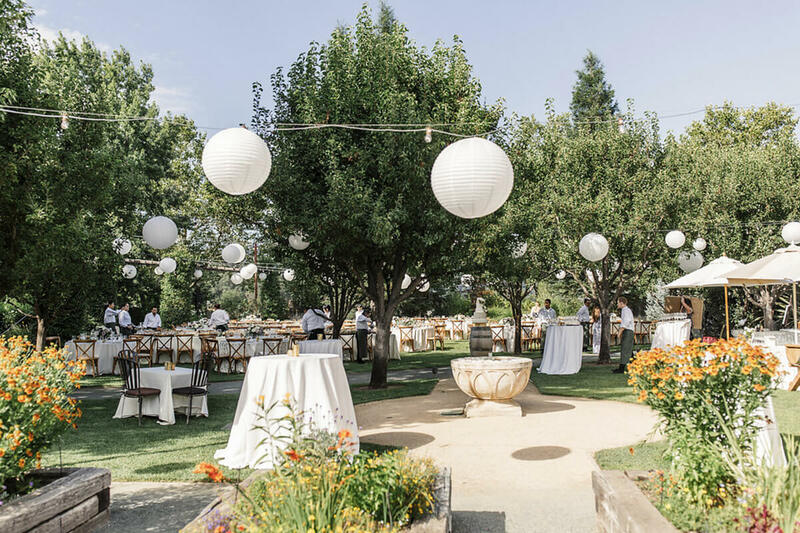 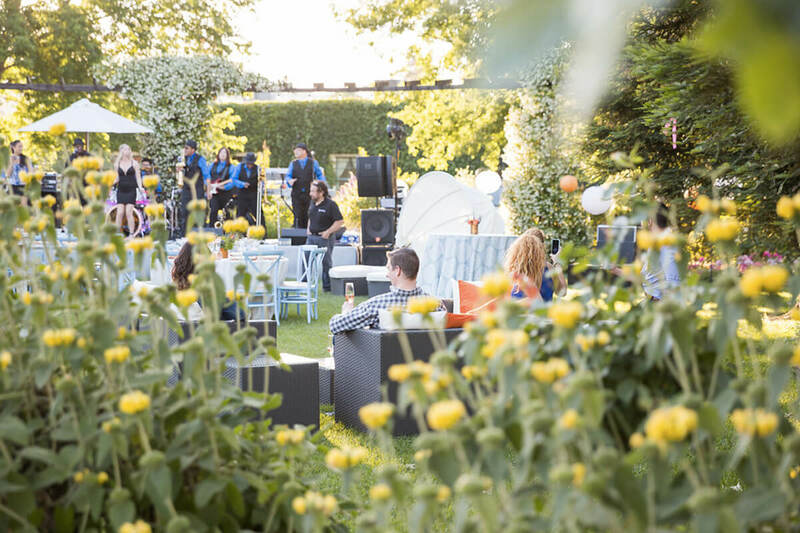 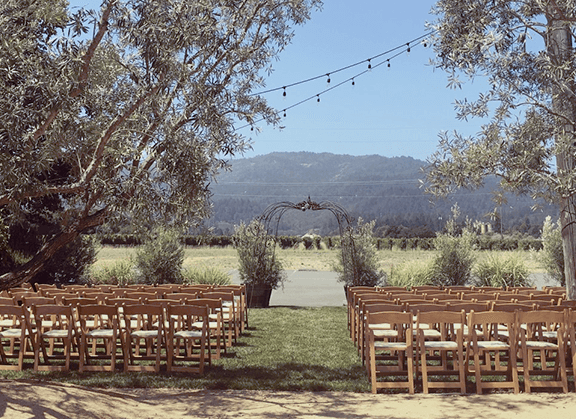 With stunning vineyard and mountain views, the Garden Grove is a beautiful outdoor venue in a quintessential Napa Valley setting. 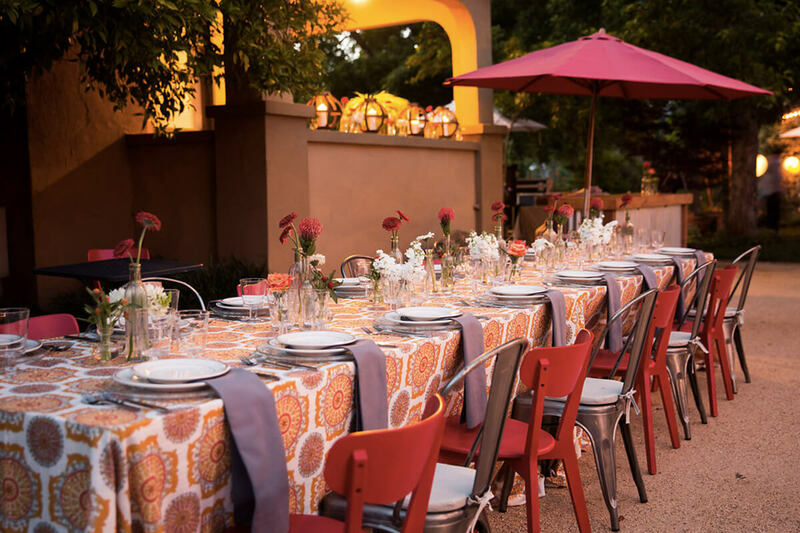 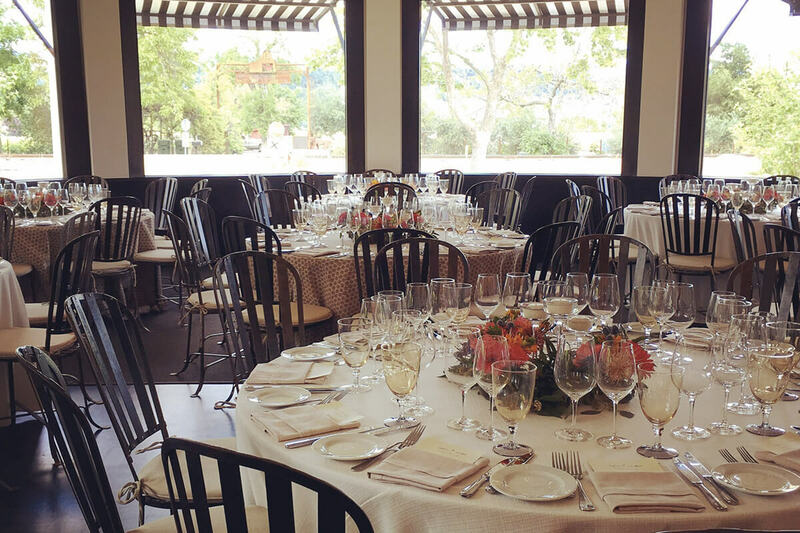 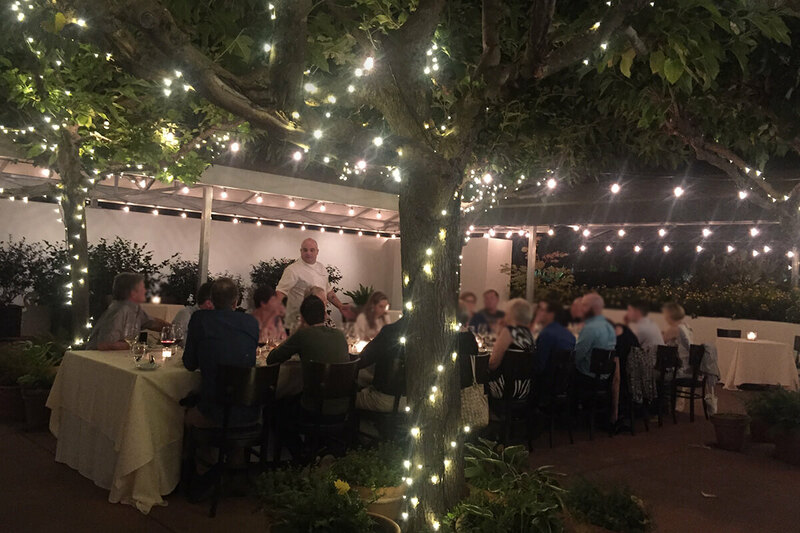 Located just off Main Street, St. Helena, it’s the ideal spot to host a rehearsal dinner, welcome reception or team building event – and everything in between. 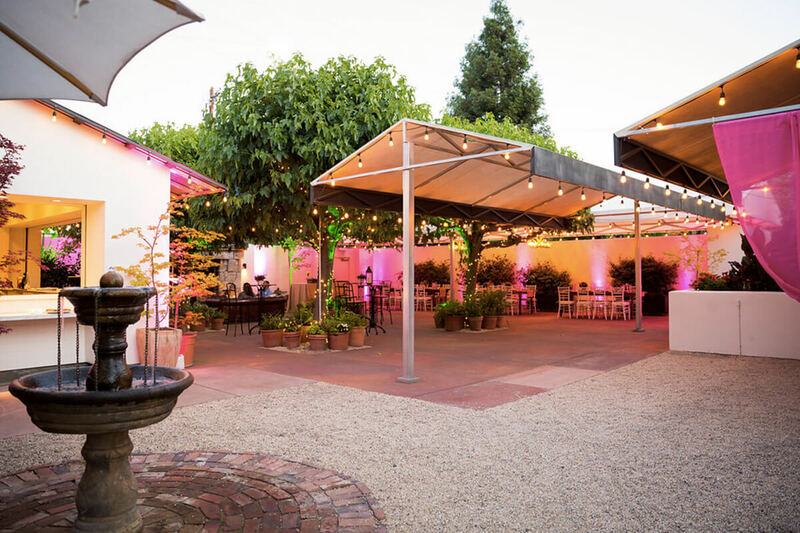 For an unforgettable evening al fresco, host your event under a canopy of Mulberry trees and twinkle lights in our Courtyard. 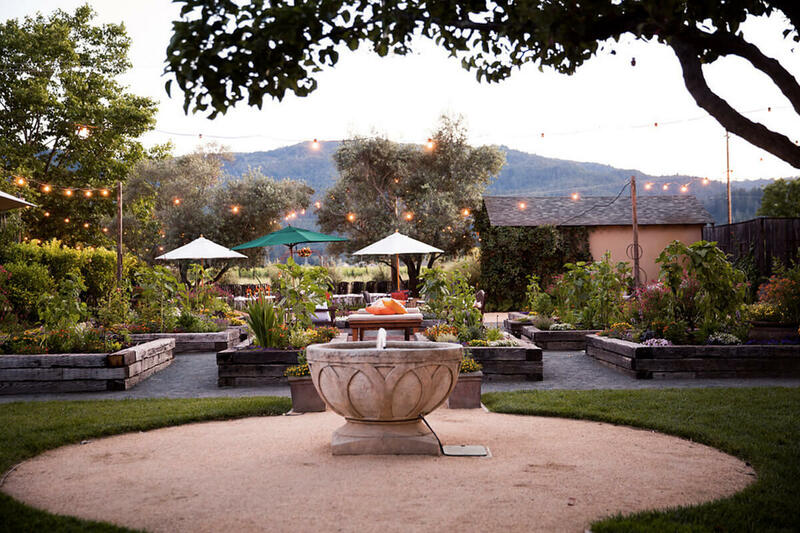 Reminiscent of a Tuscan patio, with an impressive stone fireplace and vineyard views, this is the perfect location for an intimate gathering or grand affair. 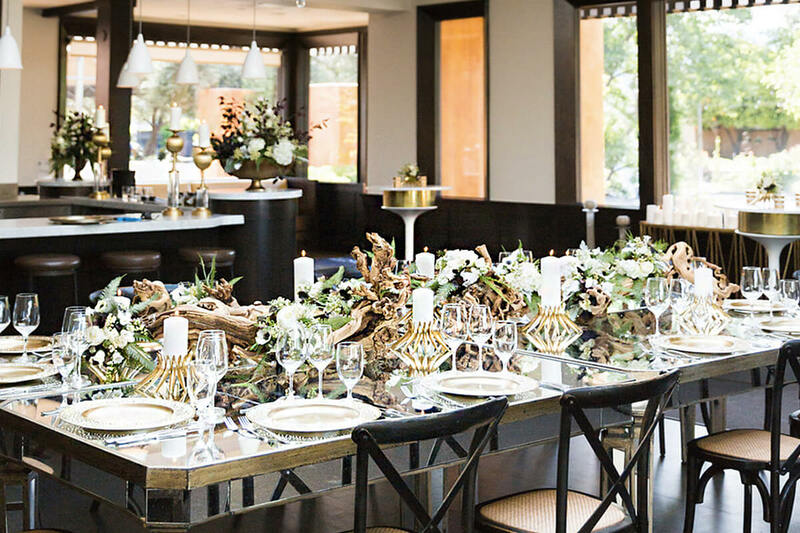 Tall windows, rich dark wood and a striking sky light create an impressive setting for any private event. 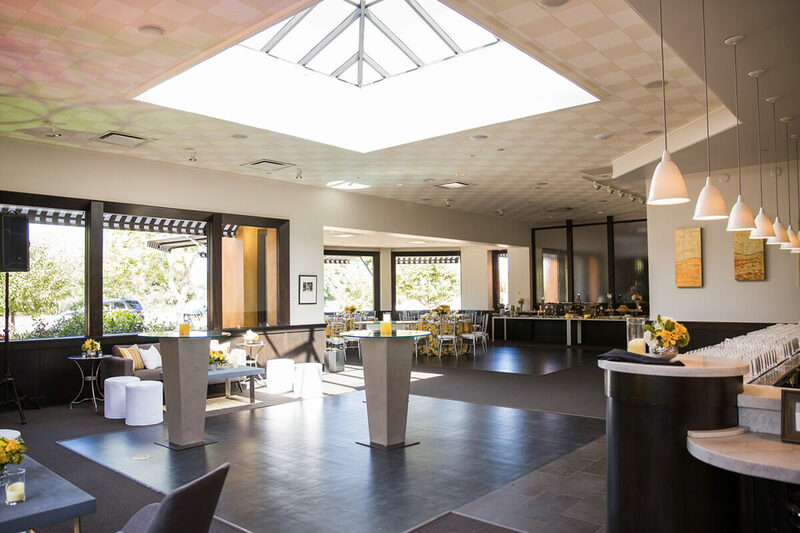 With plenty of natural light, it’s a beautiful space for casual daytime events, but also transforms into an extraordinary venue for elegant evening gatherings. 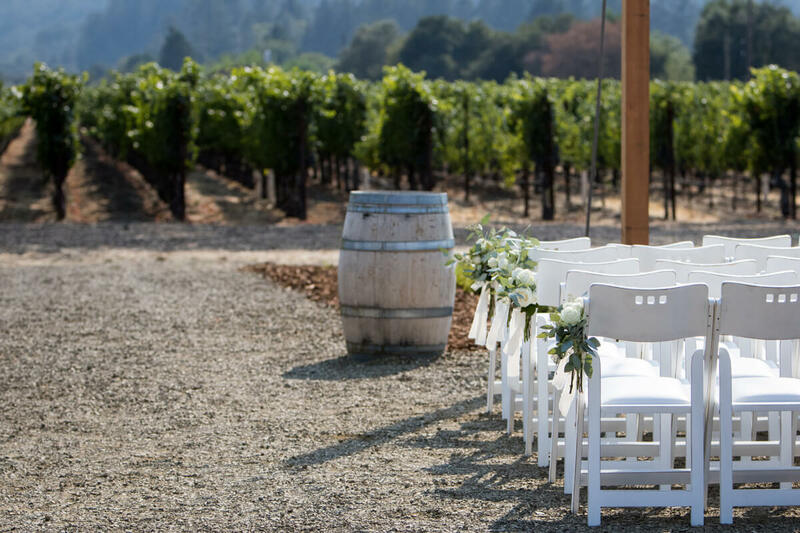 The majestic Mayacamas mountains coupled with the famed Beckstoffer vineyards form a stunning Napa Valley backdrop perfect for your special event. 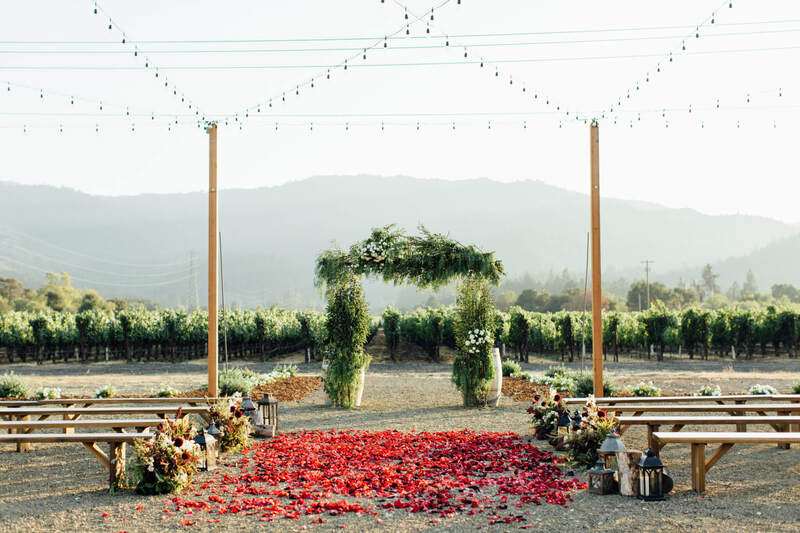 The surrounding areas natural beauty provides a spectacular canvas for either your ceremony or your reception, wowing your guests with a classic wine country view. 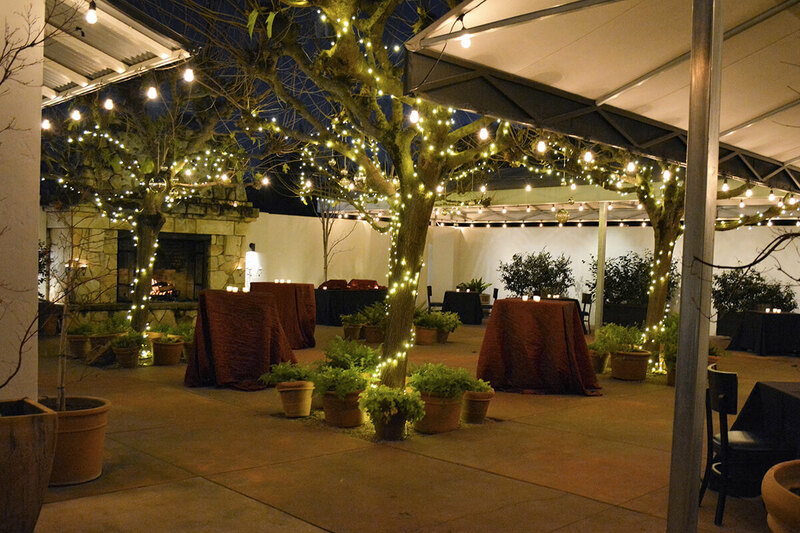 Twinkling bistro lights will keep the evening festive once the sun sets. 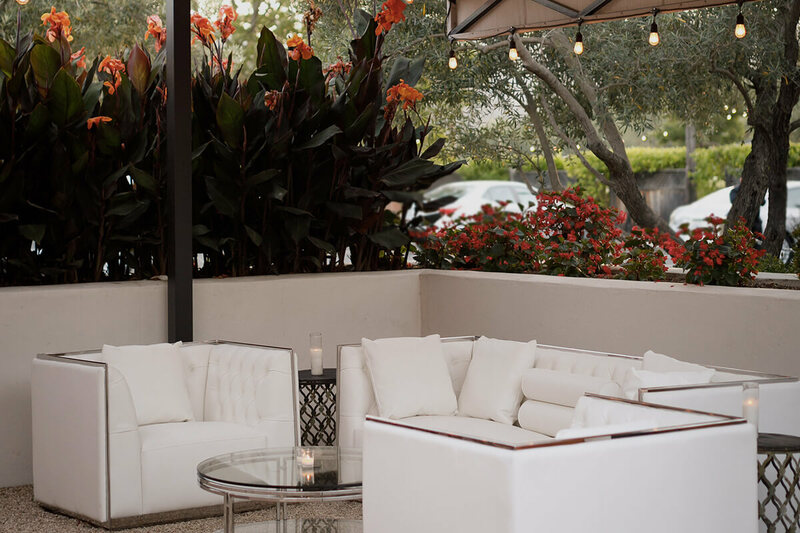 If you are looking for a picture-perfect dining experience showcasing the region at its best, there is no better option.